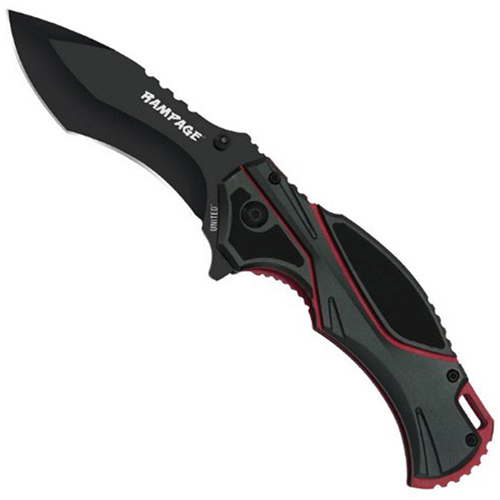 This Rampage Evolution folder brings the latest assisted-open technology, offering a lightning-fast assisted open mechanism. The black-coated stainless steel blade rockets open when you engage either the thumb stud or blade spur. The reinforced aluminum handle features textured inlays and striking red liners, providing a durable folder with stylish looks. A stainless steel pocket clips provides additional functionality for this knife, which will quickly become your favorite everyday carry. Measures 4 1/2” closed.